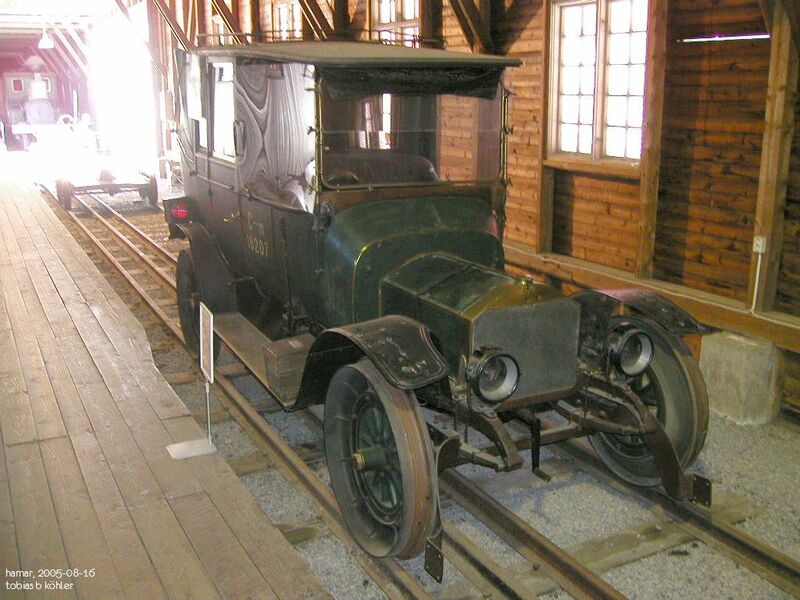 Inspection car NSB C-m 18207, built 1911 by Armstrong Whitworth, Newcastle (which built cars until 1914) as a regular automobile. This is perhaps the only remaining car from that company. 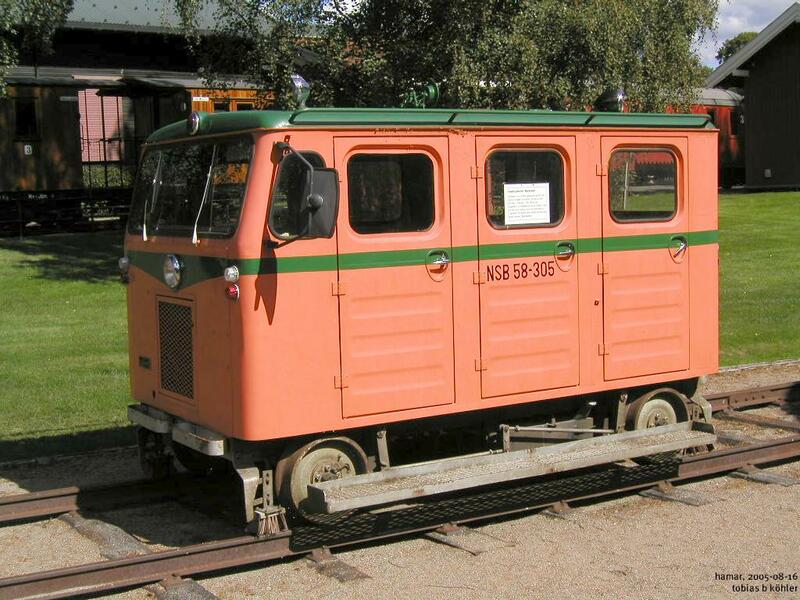 In 1924 NSB rebuilt it for inspection services, and it remained in service until the 1940s. 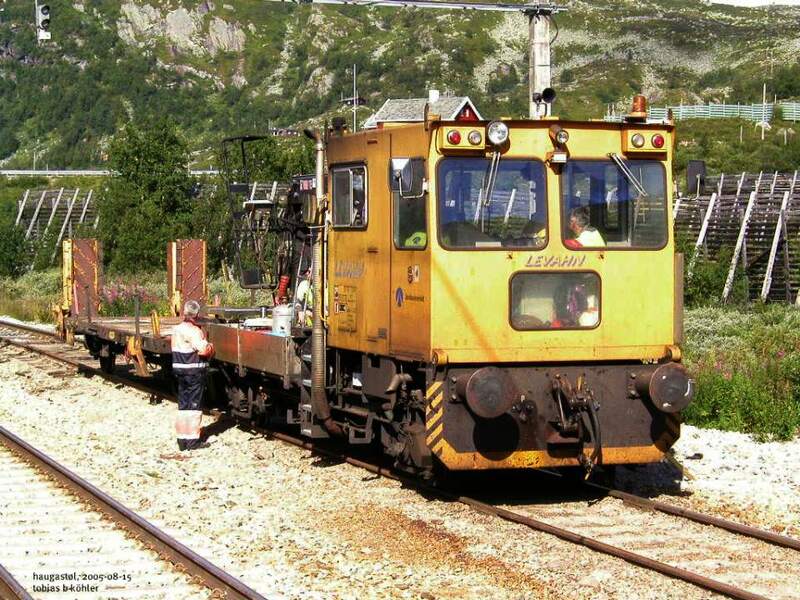 Jernbaneverket work train at the ultimate end of the line in Åndalsnes. 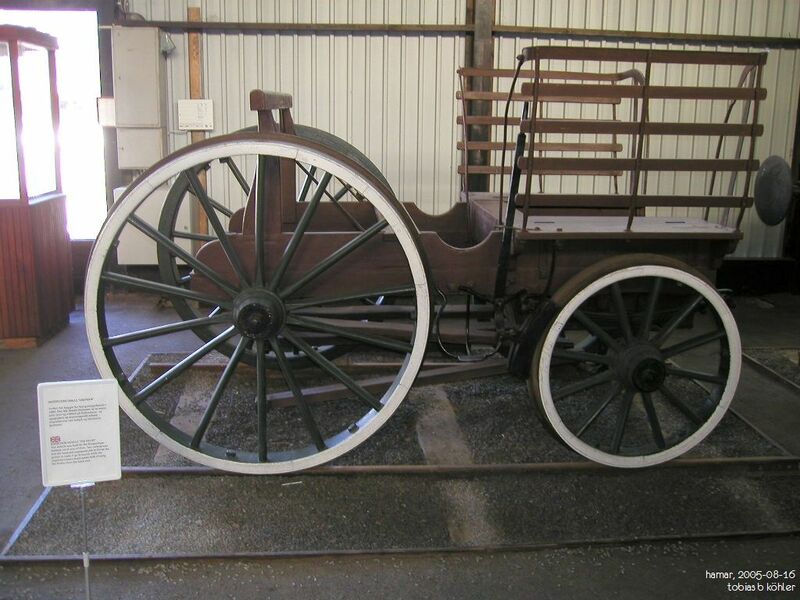 This motor cars was only acquired a few years ago. 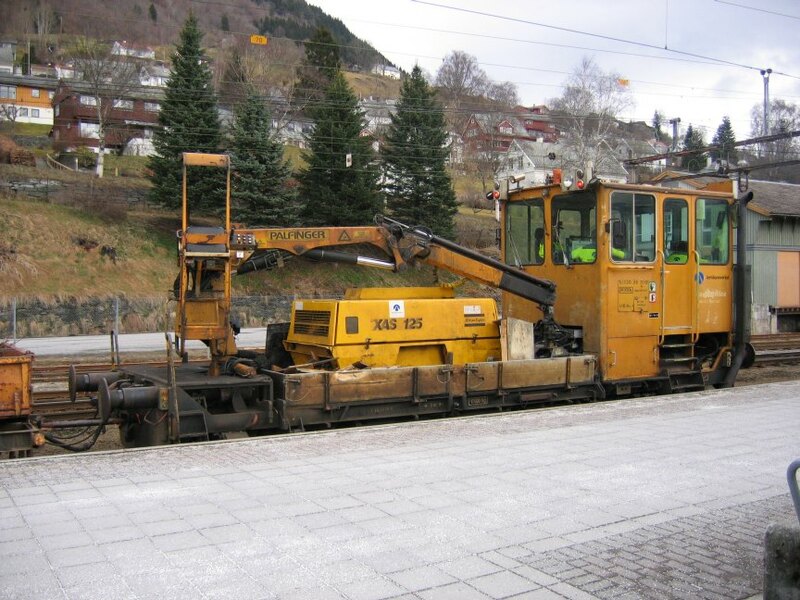 Small "Robel" work train in service for Jernbaneverket, in Myrdal. 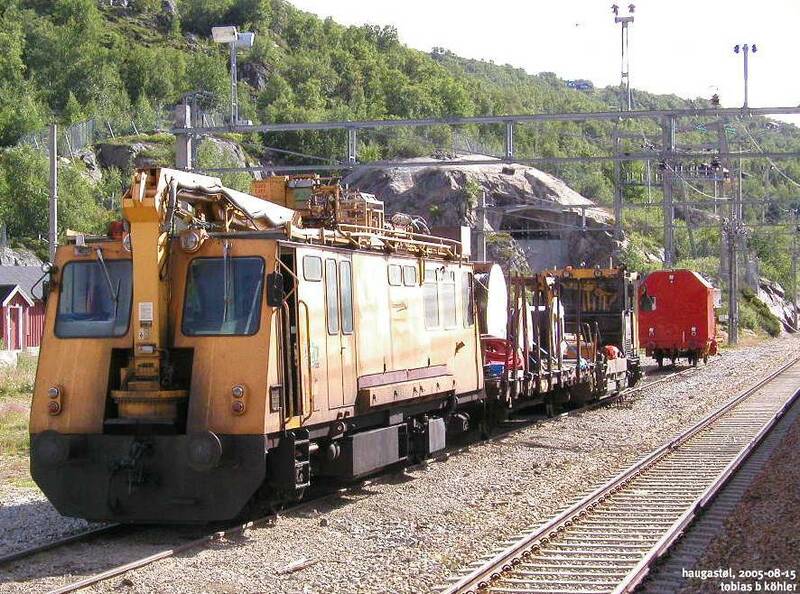 NSB catenary service unit left Geilo in the direction of the Hardangervidda on 18/7/2003. Submitted to ERPG 12/8/2003. 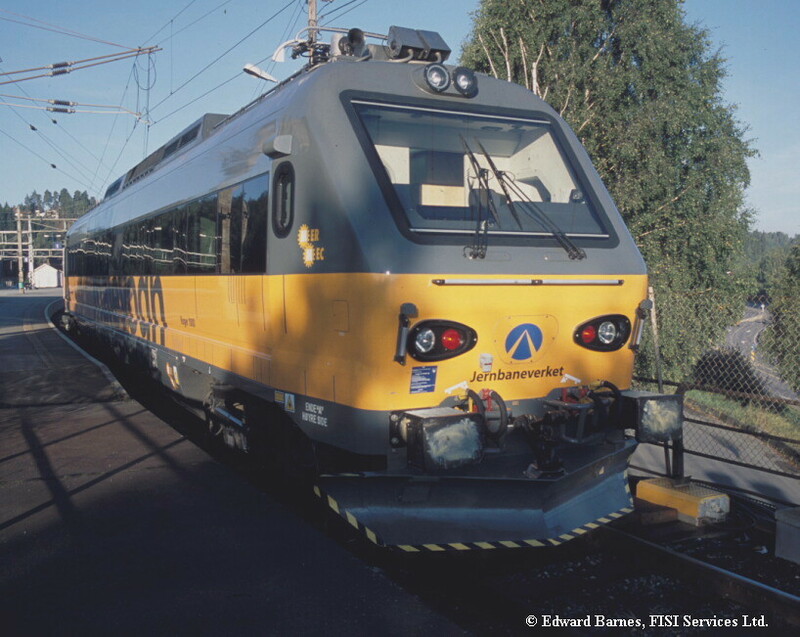 Inspection car NSB 58-305 "Markasken". 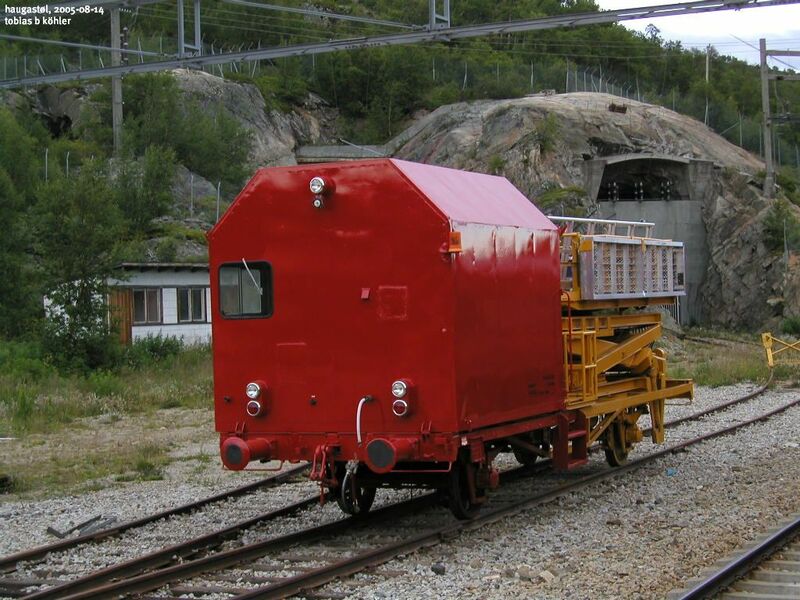 Built 1961 by Kalmar Verkstad AB, Sweden, with a Volvo motor type B18, it was at home in Hamar. 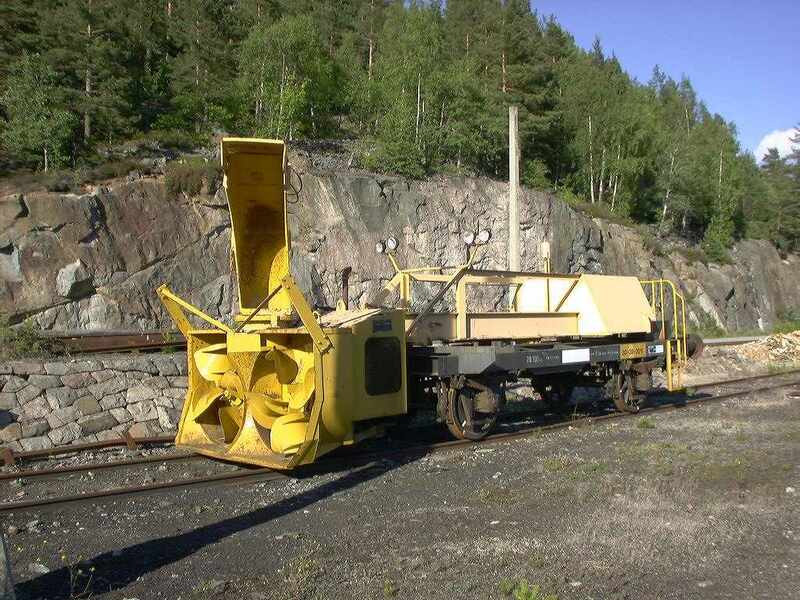 Old snowplow close to the turntable at Nelaug. You never know, but it looks like it has not been used for quite some time. 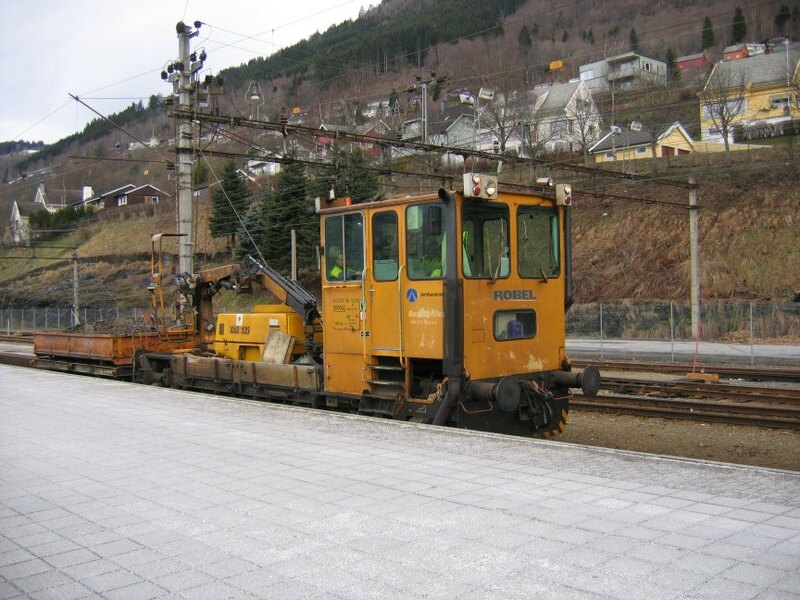 Levahn work car of Jernbaneverket in Haugastøl, Norway. 2005-08-15. 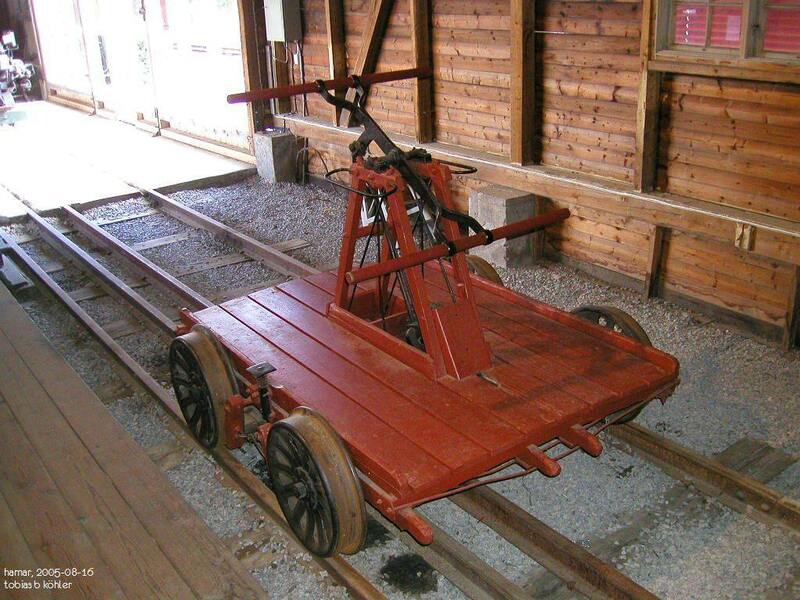 Jernbaneverket "Roger 1000" track inspection vehicle at Hönefoss. 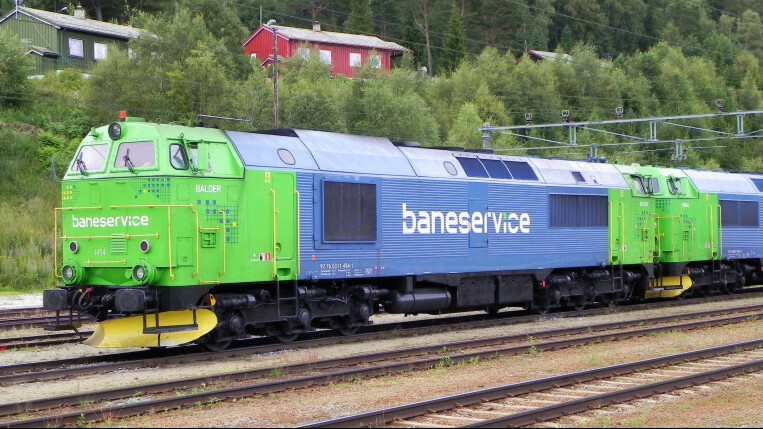 Robel work car of Baneservice in Haugastøl, Norway. 2005-08-14. 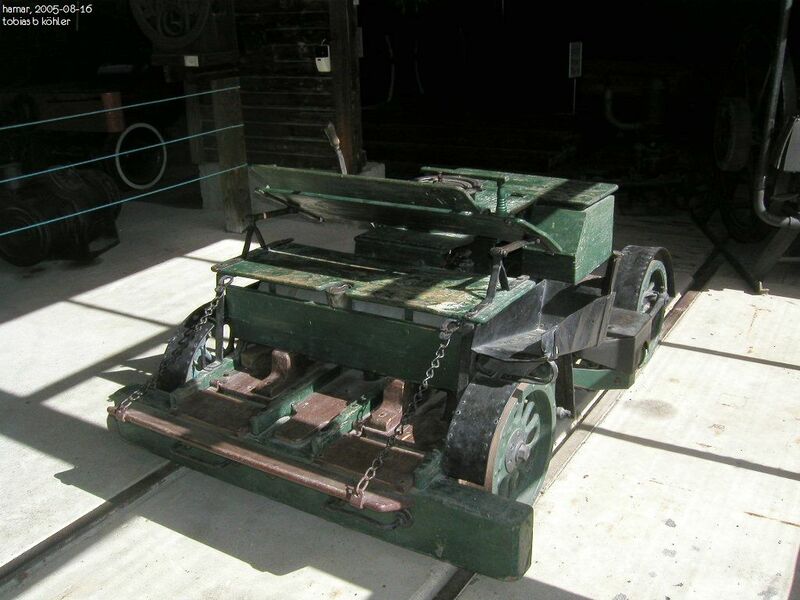 Steam rotary snowplough nr. 4, built 1914 by Skarbo/Thune, length 21.78 m, weight 125 t. In use until 1976. 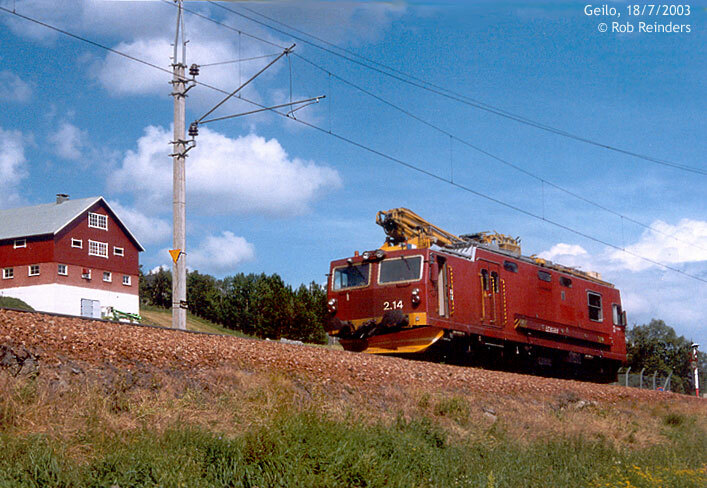 Rallarmuseet Finse, 2005-08-14. Henschel, length 12.825 m, weight 66 t. In use until 1996. 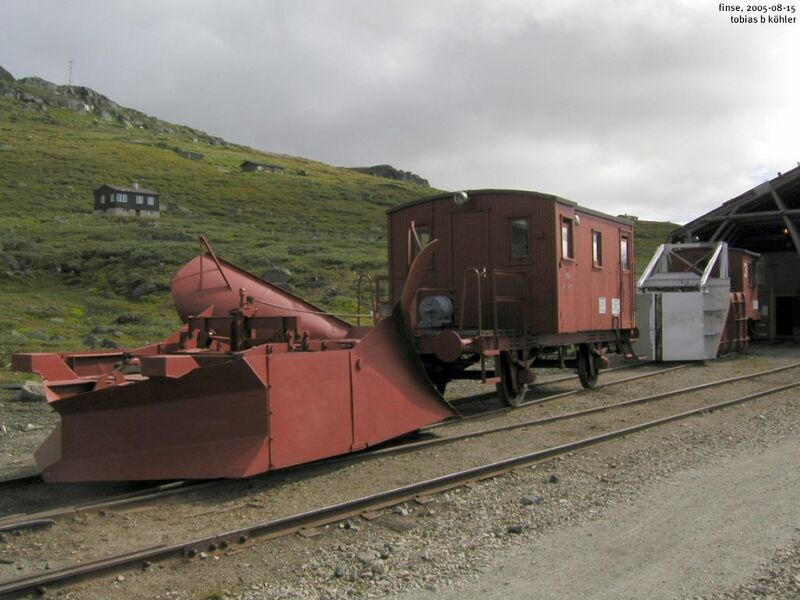 Rallarmuseet Finse, 2005-08-14. Sporrenser nr. 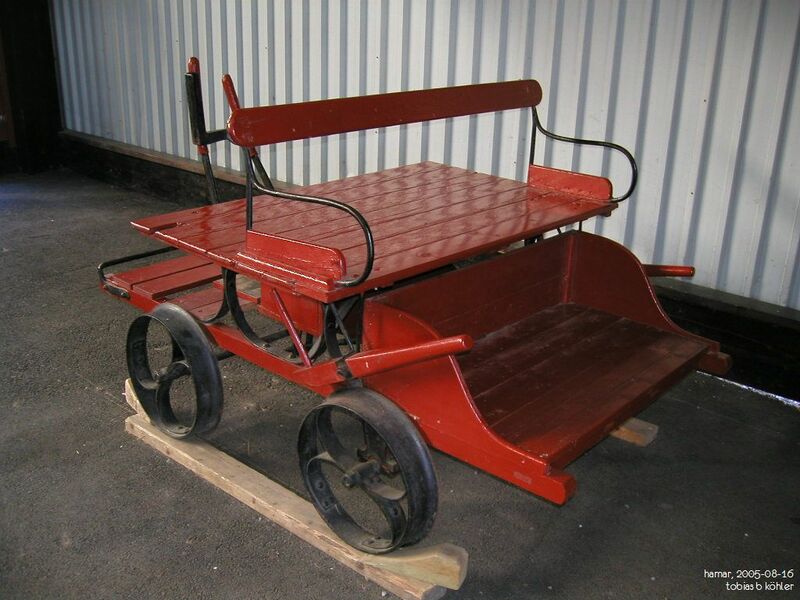 4, built in the 1920s by NSB Kronstad on a chassis by Aadals Brug (1921). 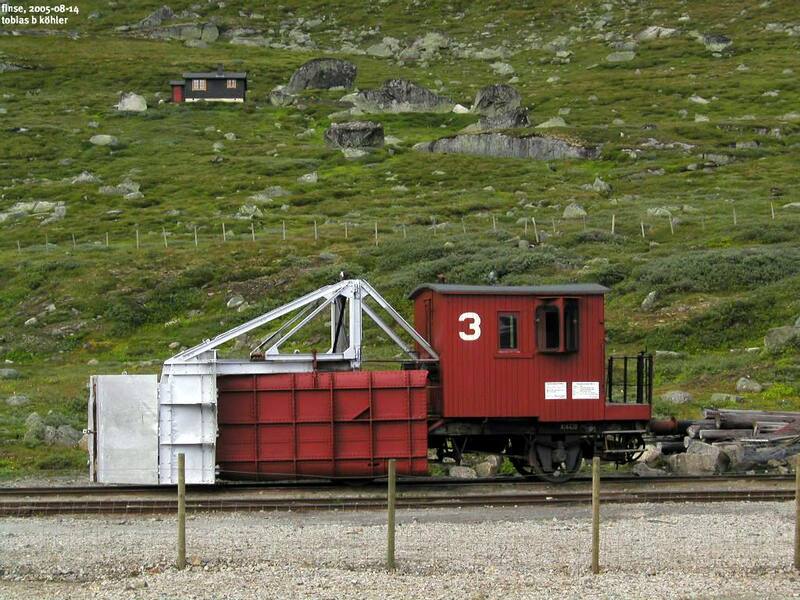 Length 14 m, weight 10 t. Rallarmuseet Finse, 2005-08-14. Sporskrape Nr. 3, built 1916 by Kronstad on an underframe built 1905 by Skarbo. 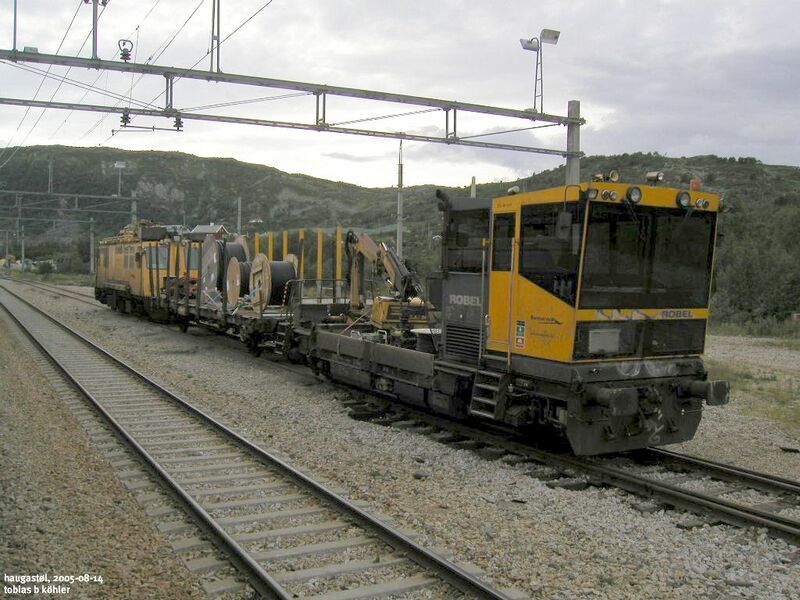 Length 12 m, weight 8 tons. 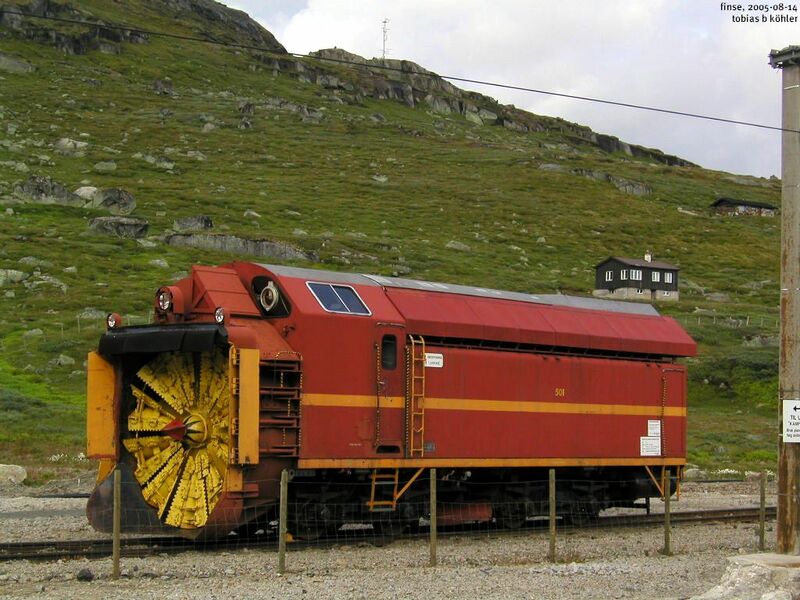 This car was used at the end of a snow-clearing train to move the remaining snow into a regular pile next to the track. 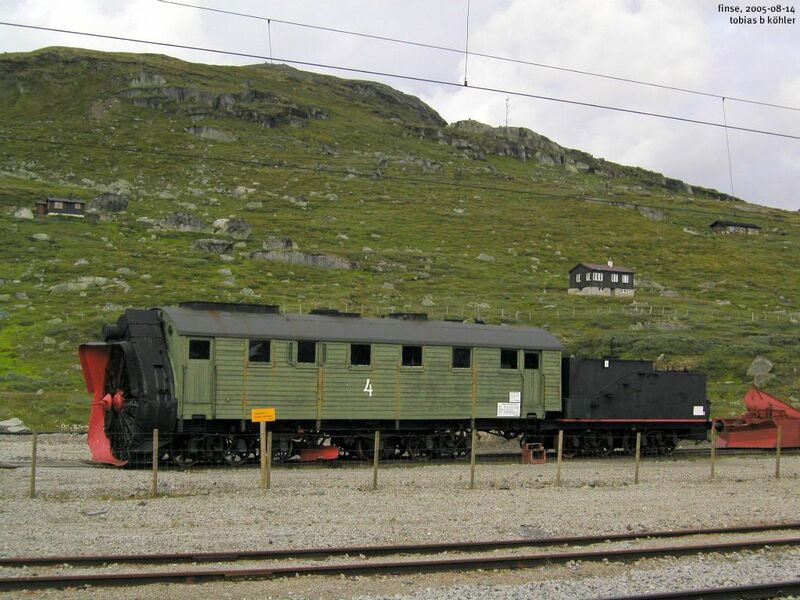 Rallarmuseet Finse, 2005-08-14. 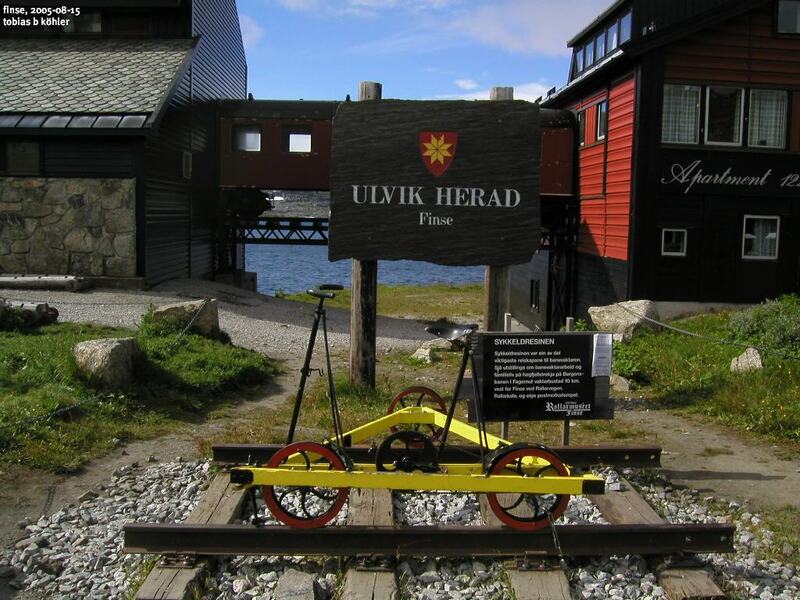 A bicycle draisine (sykkeldresinen) exhibited in front of "Finse 1222" hotel. 2005-08-15. 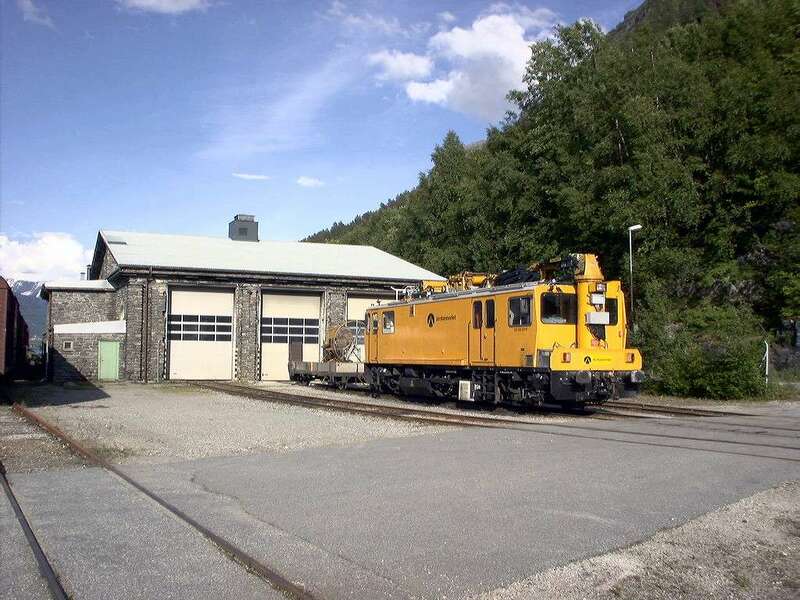 Maintenance vehicle in Voss station. 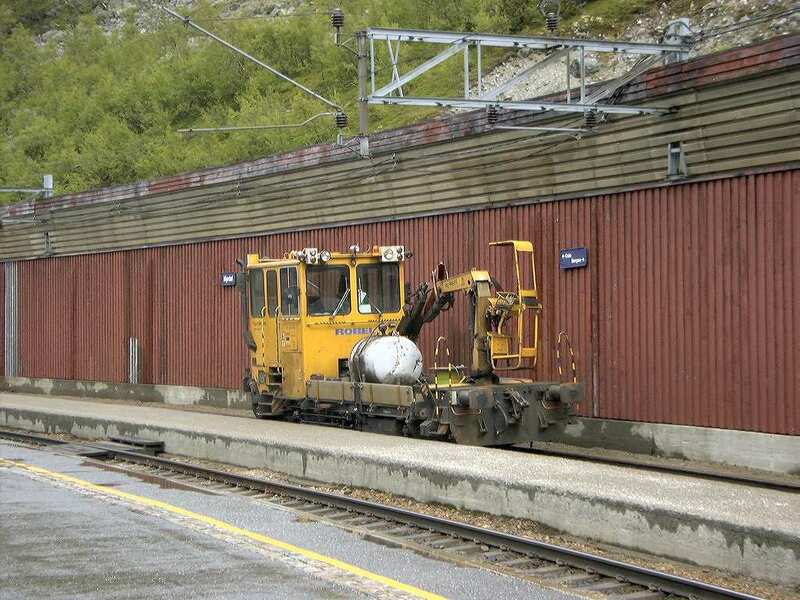 Small work car, probably for overhead wire repair, in Haugastøl, Norway. 2005-08-14. 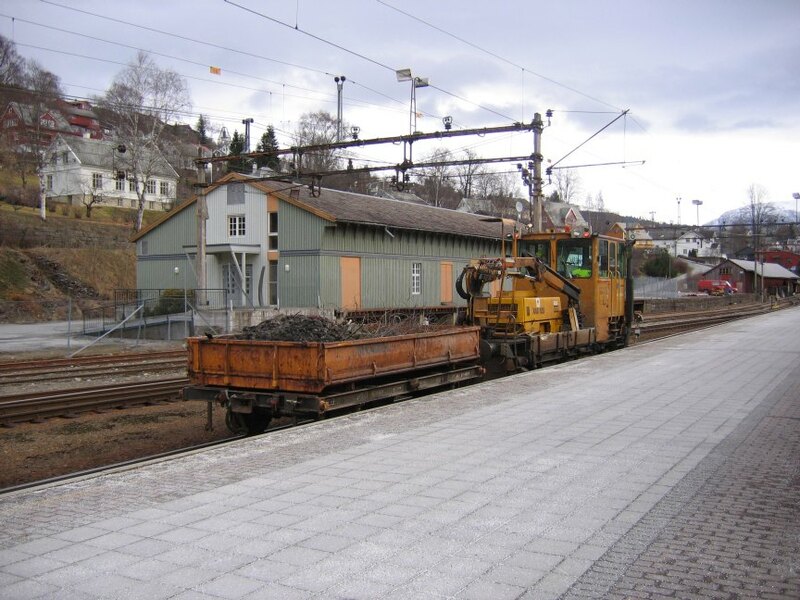 Baneservice work train in Haugastøl, Norway. 2005-08-15.